As each school day begins, faculty and staff wait in the hallway outside their classrooms, eager to greet the students as they arrive. In our Pre-K classrooms, the children have the opportunity to play dress-up, build with blocks, work on a floor puzzle or perhaps pursue a quieter activity such as drawing or looking at a book once they arrive. Teachers soon call the students to the table to “write” in their journals, play a math game, or get started on an art project. By the time the children sit down for Morning Meeting, they have made an authentic connection with their teachers and friends and they are ready to hear about what the rest of the day will bring. In Kindergarten, children unpack their bags and excitedly look for the purple butterflies which mark the Learning Centers that are open that morning. You might see two children playing a game in the math center and two others building with blocks, whereas others may be writing in their journals. This limited free choice time gives students the chance to settle into the day and make important connections with friends. After everyone has settled into the morning routine, students are called to clean up and come to circle time, where you can can hear the children discussing the day ahead, asking questions, and pointing to the words in the morning message. The day has begun. Throughout the day, children are engaged in play based learning. The teachers use the curriculum as a springboard to create original learning materials, songs, plays and crafts. You might see a group of children playing an octopus math game when learning about the ocean environment or wearing headbands with straw proboscis when learning about insects. Games, crafts and academics blend seamlessly as our students become excited about the world around them. They are eager to come to school and they find joy in becoming learners and in their academic achievements. The sorting has ended...the House Cup Competition has begun! 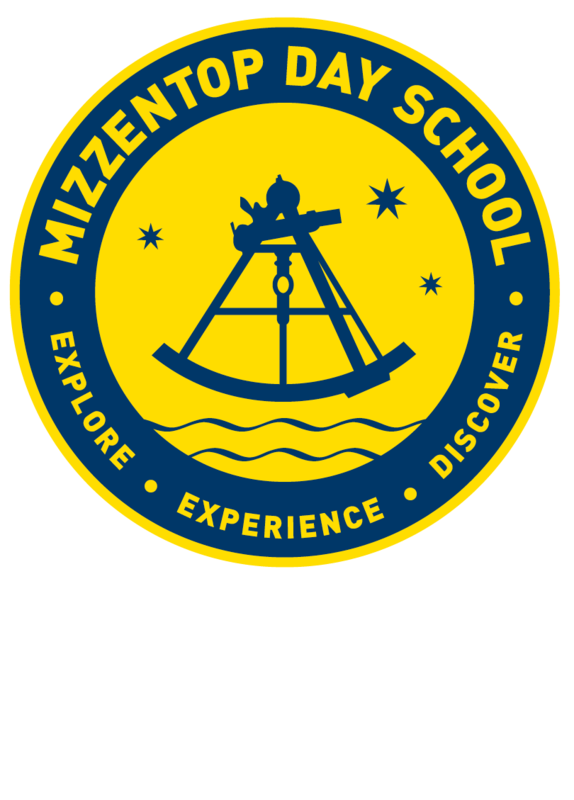 Spend time in one of our Lower School classrooms, and you too will enjoy a magical learning experience typical of Mizzentop’s unique curriculum. Watch as the students in the Fourth Grade are transported to a world where the House Cup Competition reflects our twelve Living Values...a world where magical wands are created in Art and the new sport in PE is Quidditch. Or stop by the Third Grade, where tangled yarn and dropped needles abound as the students learn the timeless art of knitting, a calming activity that improves fine motor skills at this important age. This newfound skill is used to create handmade scarves and hats which are then donated to those less fortunate in the local community. From our First Grade storytellers and Second Grade astronauts to our skillful knitters and sorcerers, our Lower School engages both the imagination and creativity of every child. As a result of these and other important learning opportunities, students experience significant growth academically, socially, and emotionally. This type of instruction is central to the Lower School experience, where individual learning styles are addressed and students are enriched by creative hands-on experiences and cross-curricular integration. It is in this nurturing environment that children experience the safety, respect, and understanding that encourages them to become motivated and independent lifelong learners. As you walk down the Middle School hallway, you will surely be surprised by what you see, smell, and hear. Perhaps you will stumble upon the finale of our Mizzentop Math Idol performances,	where students have been singing their way to the solution to their perimeter word problems. You may smell fresh empanadas from the cultural celebration taking place in Senora Shanahan’s Spanish class. You may find Mrs. Justo’s advisory group collecting blankets and toys, getting ready to deliver them to the Putnam Humane Society. The Middle School program serves to build the academic, social, and emotional foundation that is needed for the students’ secondary school education. Academically, we provide a stimulating and innovative program that helps students to become independent problem solvers. We accomplish this through individualized instruction and an integrated curricular approach that build both academic and life skills. To foster social development, we model and encourage students to become responsible, respectful, honest, and tolerant world citizens. Our Living Values are integrated in daily lessons and through our unique Advisory program, which offers an opportunity to share and work through personal and academic concerns in a safe environment under the facilitation of each advisor. Advisees have the opportunity to interact with other Middle Schoolers as well as Early Childhood and Lower School students, and also serve the greater community through various service projects and by working with other local non-profit organizations.